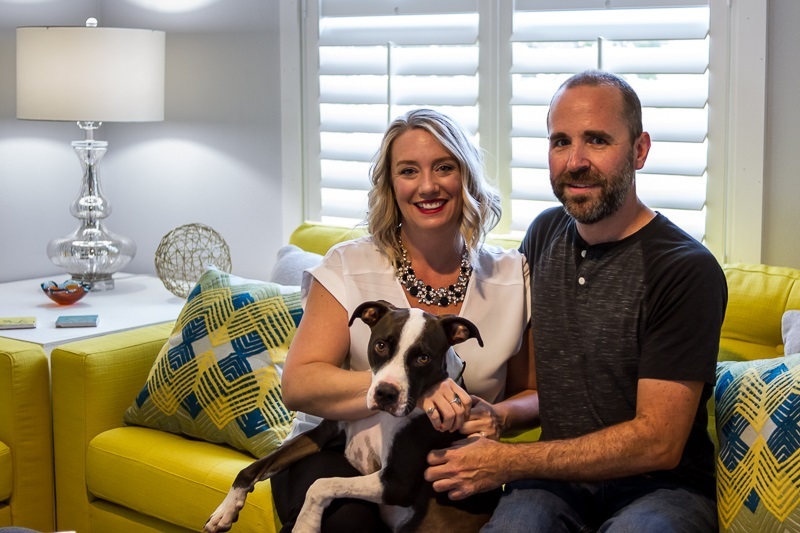 Lori and Warren purchased their home in Jacksonville last year and and have carefully curated a beautiful space of mid-century modern design. They kindly let us take a look and shared a bit about the individual pieces, upcoming projects, and their neighborhood. What drew you to mid-century design? 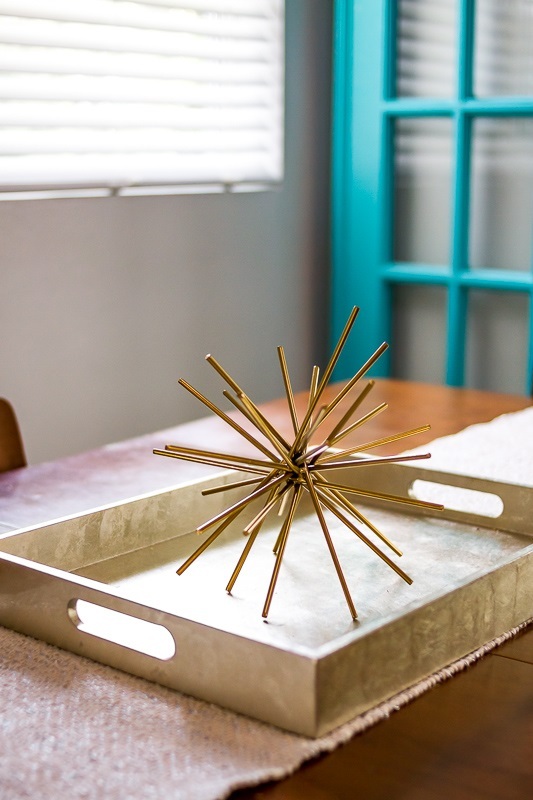 We became interested in mid-century design when we purchased our first home in St Petersburg. The house is very small and we had to make the most of our space. Before we purchased the house, we really didn't have a style, just a lot of our old furniture from our single days. This was our first chance to combine our styles and get items that we picked out together. 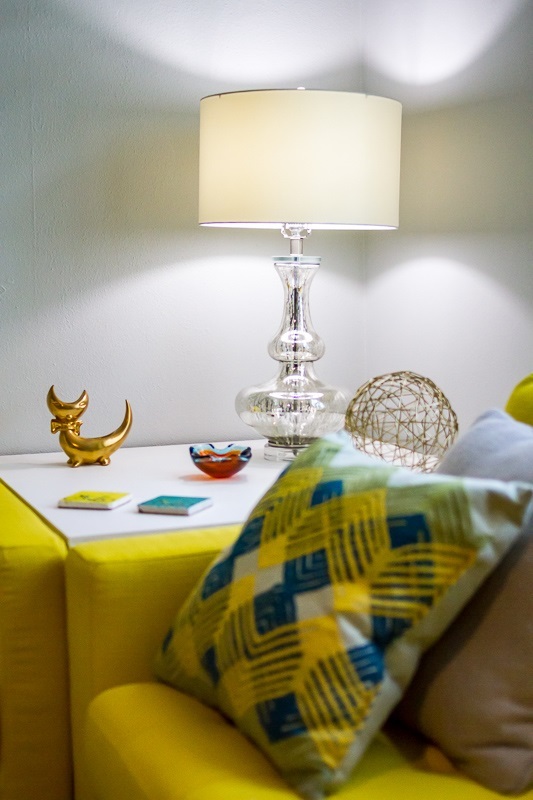 Mid-century fits well in a small space and we really fell in love with the clean lines and bright colors. Which is your favorite room in your house? The living room is our favorite room. We spend the most time there and it feels very bright and happy. It is also a very comfortable space for us to spend time with our dog. You have done a fantastic job of curating every piece in your home. Which are your favorite items? How did you acquire them? The teak china cabinet from my grandmother is the most special piece to me. It is filled with memories from my childhood as it was in her home, in the same spot until she passed. I suppose that very piece might have been what drew me to mid-century from the beginning. It's such a classic MCM piece and I'm lucky to have so many memories attached to it. The dining room table is also one of our favorite pieces. It is a double drop leaf table with 8 legs, very unique. Again, it has the very classic MCM style that we love. My grandmother owned and operated a thrift store for years and continued to operate it until she became sick in early October last year. She was 91 and still opened the store almost every day and dining table came from her store. The bottoms of the dining chairs have the furniture store name, a date of 1961 and a price of $45 per chair in pencil, cursive writing. All we had to do was give the table a good cleaning and reupholster the seats. What will your next home project be? We are very excited to create a living space in the back yard. We have a good size yard that really gives us a blank slate to work from. We know that we want an outdoor dining area and a fire pit but not sure what else yet. What do you appreciate most about you’re your neighborhood, Glynlea? The neighbors are the absolute best part of this area. Most have lived here for 20+ years and were so welcoming from day one. It is a very safe, clean and friendly community. Where is your favorite place to spend time in Jacksonville? We have only lived in the area for a little over a year now so we still enjoy exploring Jacksonville. So far, we really like San Marco and Riverside as it reminds us a little bit of St Petersburg. We are big on breakfast dates and love Metro Diner and Beach Diner but our favorite dinner spot so far is Black Sheep. Thank you Lori and Warren for opening your home to us!